I received a wonderful request to make a Kangol look-alike fedora hat from a repeat customer. The gentleman had an extensive hat collection and owns several of my hats. The request was simple: duplicate the hat from a photo he provided with absolutely NO pattern...it was a challenge but the hat came out wonderfully! The hat was hand crocheted in cotton yarn but can be made in other fibers if you wish. 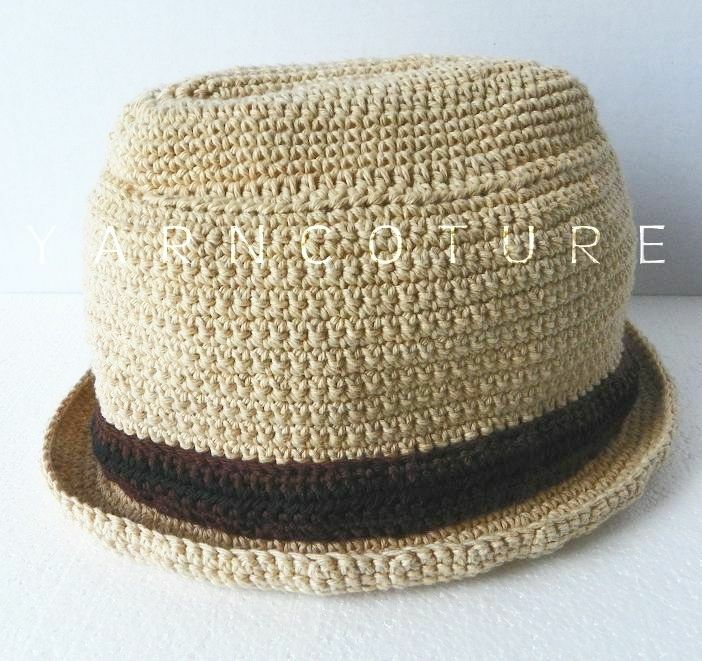 A wonderful hat to wear in warmer months!